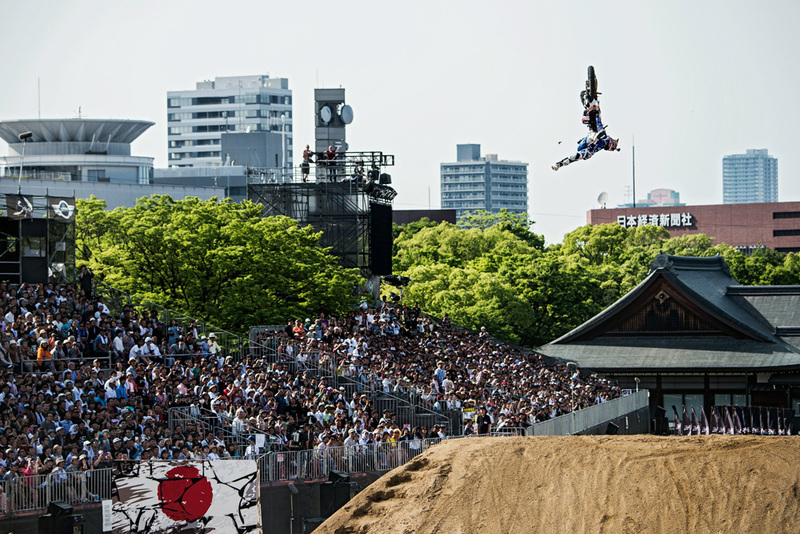 Click Image to zoom Levi Sherwood dominated the whole weekend with a mixture of hard tricks, smooth style and save landings. 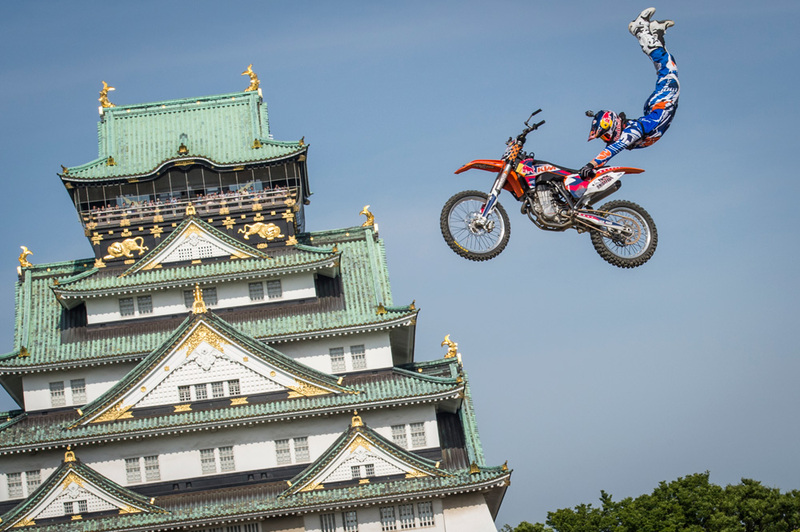 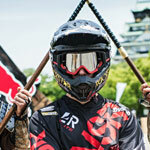 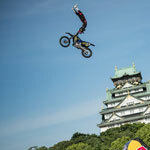 At the ancient walls of Japan’s most famous castle, more than 20,000 fans turned out for Red Bull X-Fighters weekend in Osaka, thrilling to an epic battle of skills. 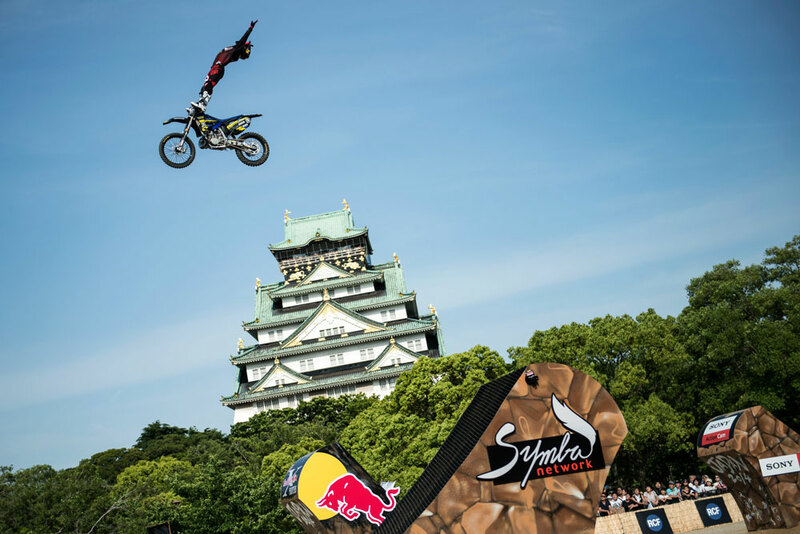 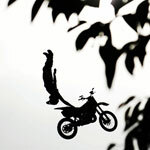 The riders were like a new breed of samurai, going huge on a course that demanded everything in their arsenal of tricks. 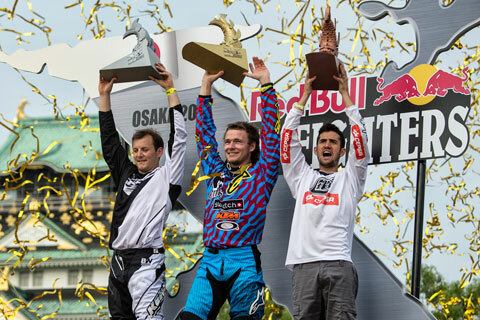 Levi Sherwood of New Zealand stood atop the podium for the second time this year. 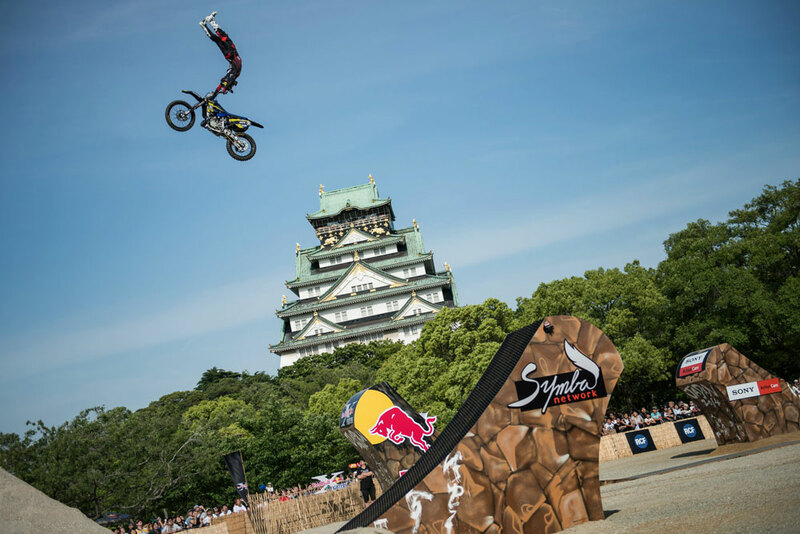 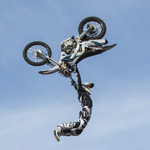 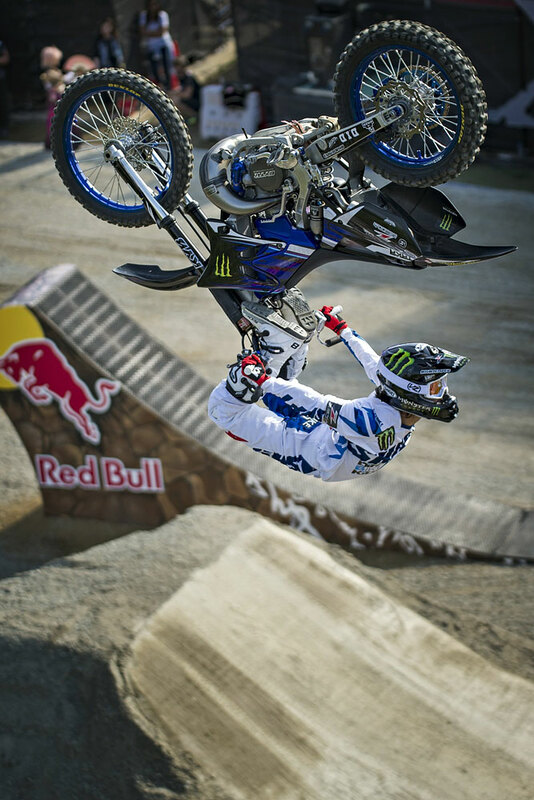 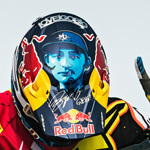 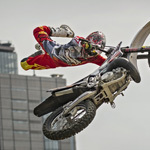 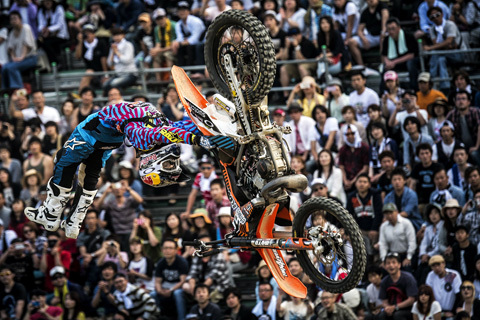 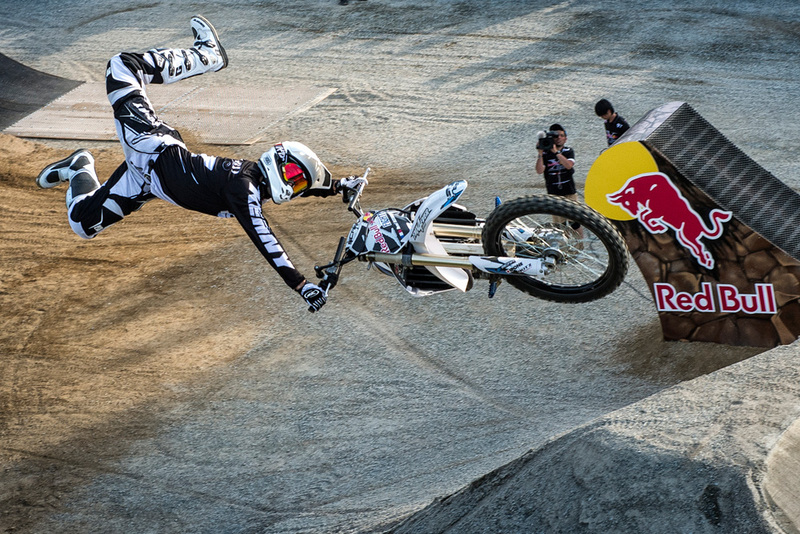 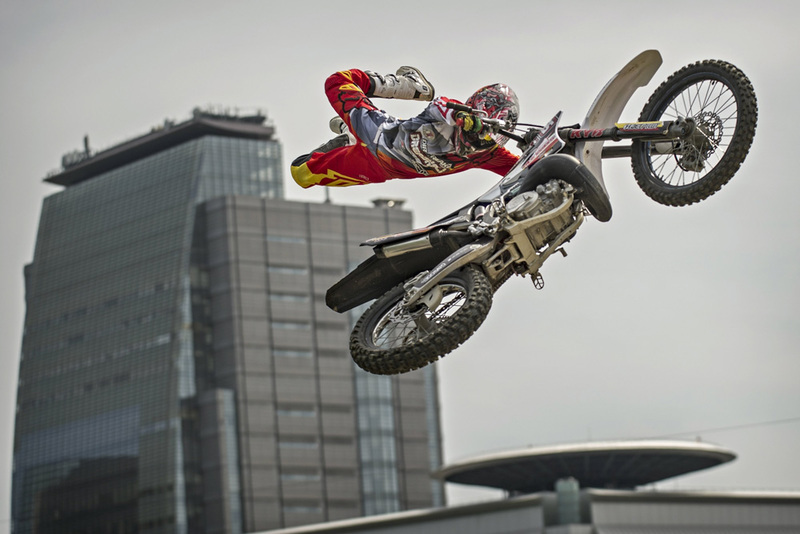 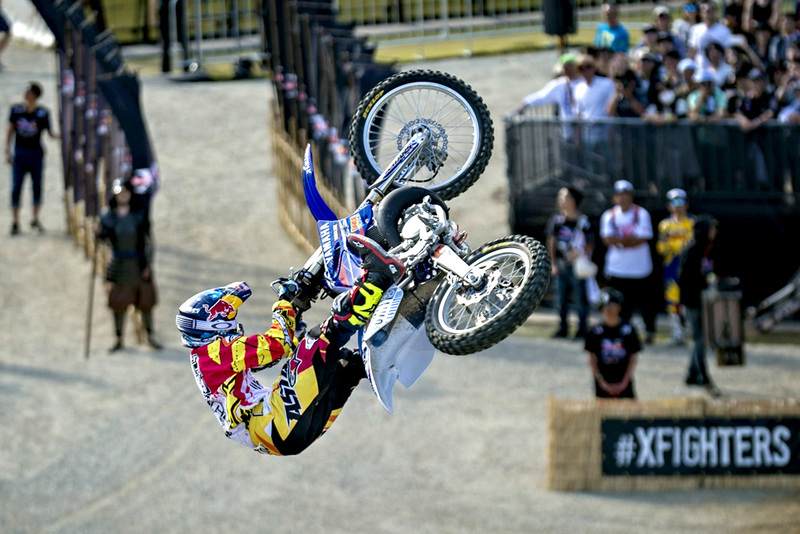 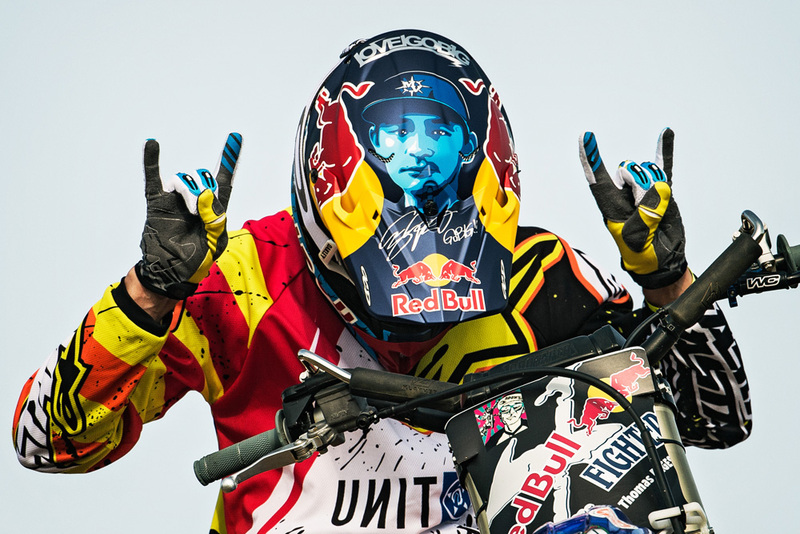 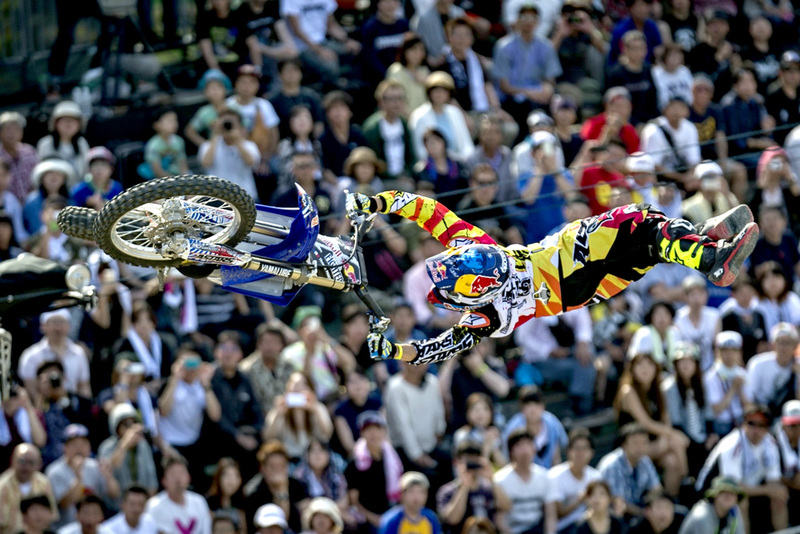 OSAKA (Japan) – By the end of the second stop of the 2014 Red Bull X-Fighters World Tour in Osaka on May 25, one thing was clear: New Zealand’s Levi Sherwood is the man to beat as the world’s most prestigious freestyle motocross event series moves into its critical summer stage. 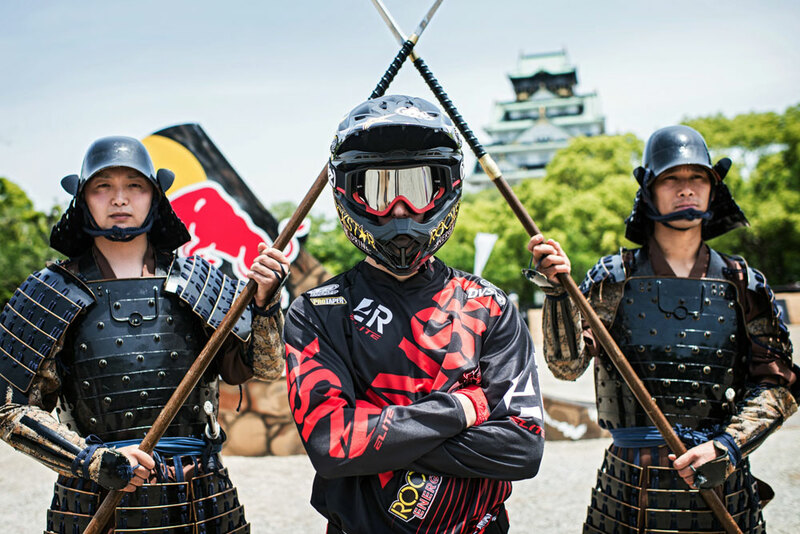 The 22-year-old from Palmerston North has been unstoppable so far: He won the season opener in Mexico City before dominating the battle at Osaka Castle today with runs that were nearly flawless. 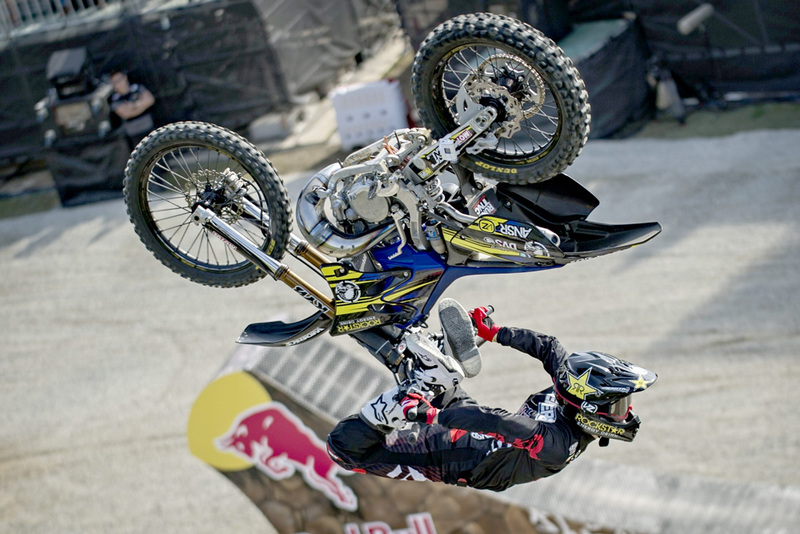 Rémi Bizouard of France earned second-place honors, with Dany Torres of Spain in third. 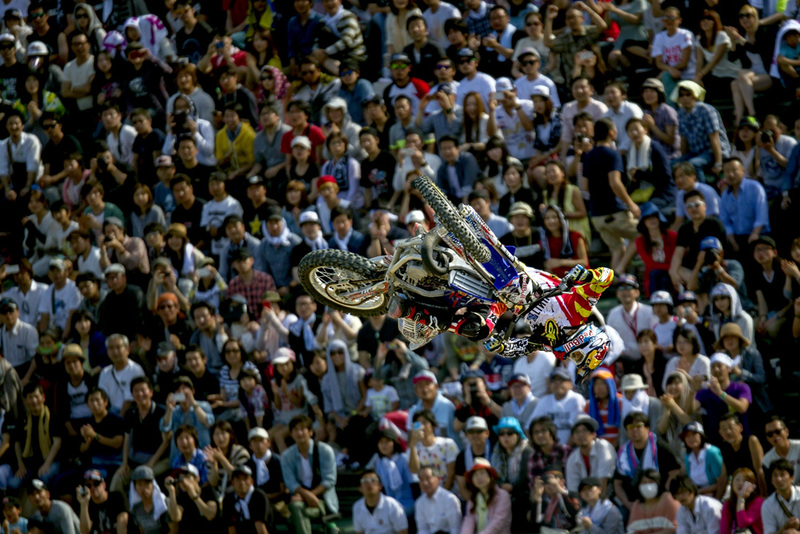 The spectators, including taiko drummers as well as fans in manga-style costumes, were closer to the action than at any other stop in the series. 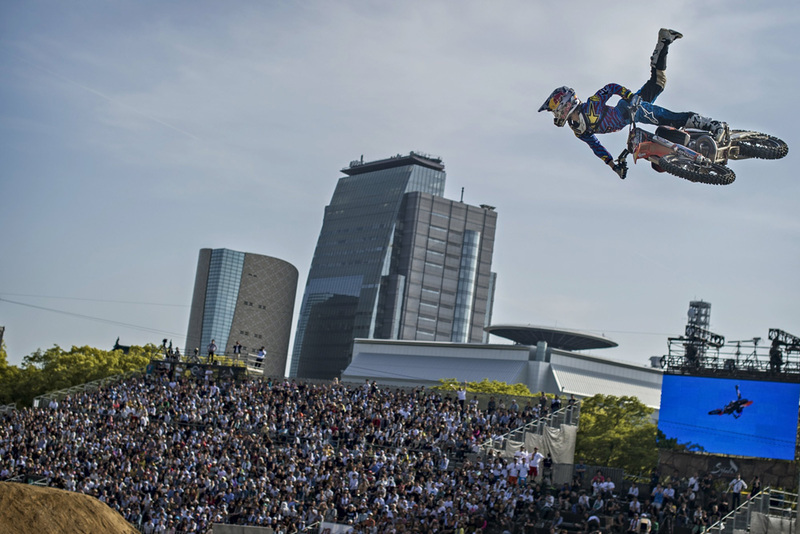 Hometown hero Taka Higashino, who in 2013 won the Osaka event and finished in third place for the season, earned eighth place after skipping Qualifying yesterday due to injury. 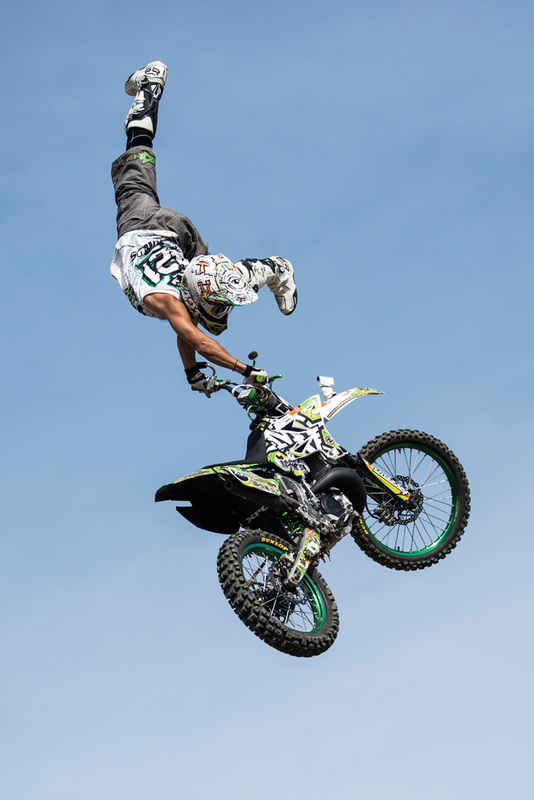 Nonetheless, he expanded his traditionally classic repertoire by adding a Body Varial. 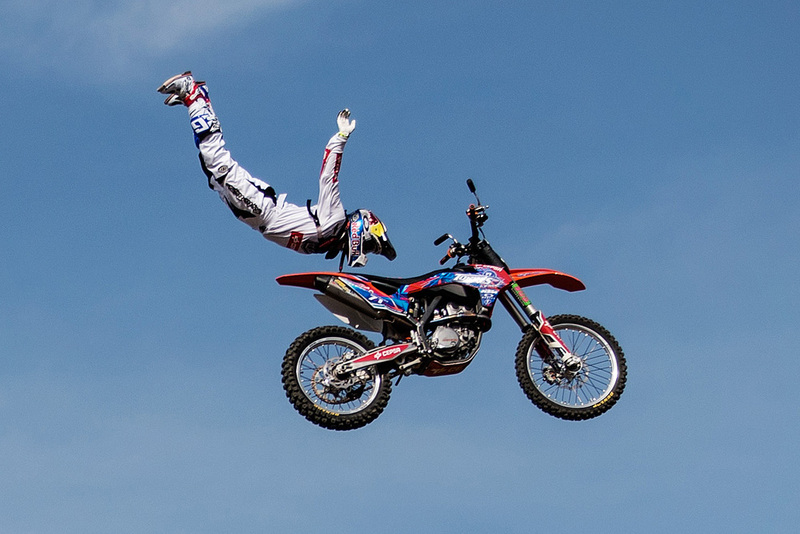 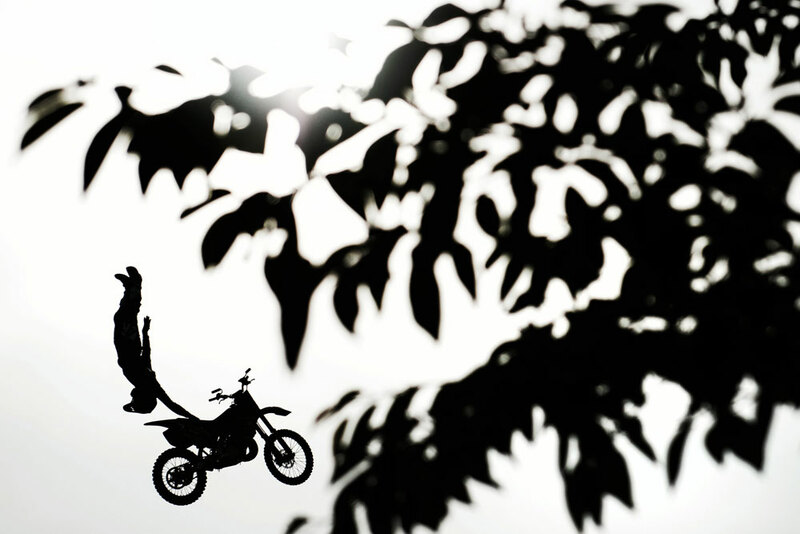 A smiling Sherwood, who despite his young age is associated with perfecting the traditional style of classic FMX riding, said, “I like to push the riding part of freestyle – in FMX you have to both ride a bike and do big tricks. 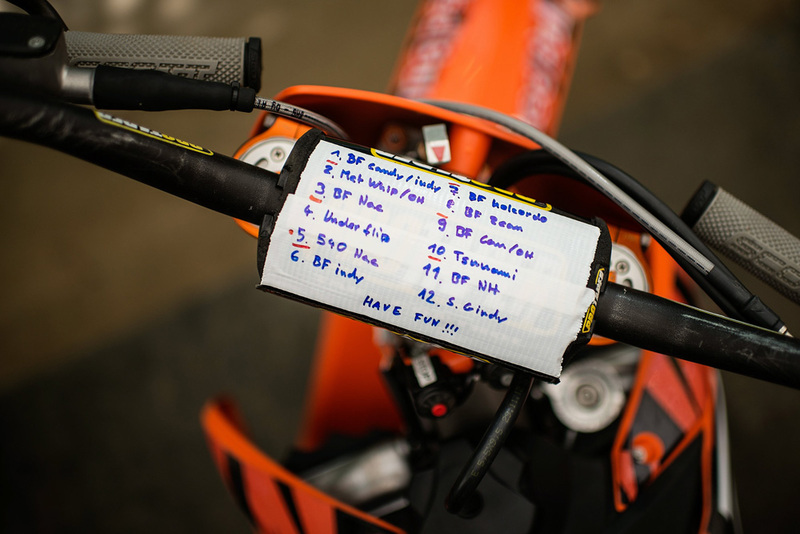 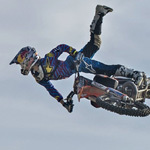 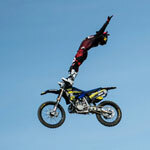 Where I want to see FMX go is really pushing riding skills and course design.” He added, “I’m stoked right now. 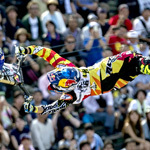 You can see the love of freestyle here in Japan.” France’s Thomas Pagès did not feel comfortable on the course and decided to sit out today’s competition, feeling that due to his riding style and the level of difficulty of his unique tricks, for him the risk of injury could be too high. The riders’ next chance to earn points toward the overall title will come on 27 June, when the series returns to the iconic Las Ventas bullring in Madrid, Spain.